Having survived my birthday, it was time for some continuing birthday celebrations, although they were low-key. I had coupons, so guess where Ralph and I went for breakfast? 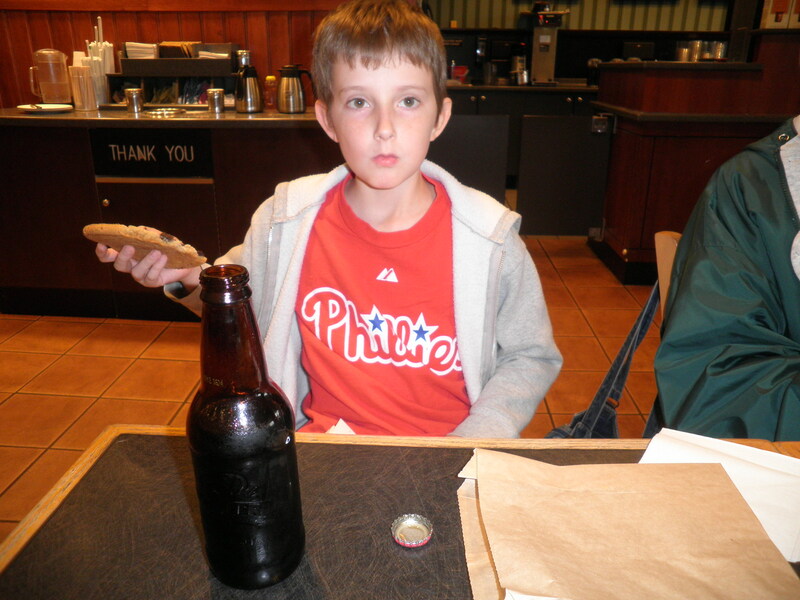 Why, Dunkin’ Donuts of course! I had my first of their pumpkin spiced coffee (yum!) plus a veggie omelette flatbread (also yum!) These are so tasty and they are very filling. Only cost me 7 Points on Weight Watchers. Good Deal! After breakfast, I had plans to go to Barnes & Noble with Ele, Jim and little Michael…so what else is new?! Ralph had some things to work on and a football game at 1pm so he stayed home. Since I got more gift cards for my birthday, I did some more Nook-looking because I think I have enough now to buy one. Still have to decide. Michael reading a book that Grummy Ele was buying him (hidden in his lap) and eating a cookie bigger than his head. I swear that cookie stayed the same size in spite of the fact that he was eating it! I was good, only had a cool lime refresher. I was afraid they would only have them for the summer, but it looks like they’re on the permanent menu now. 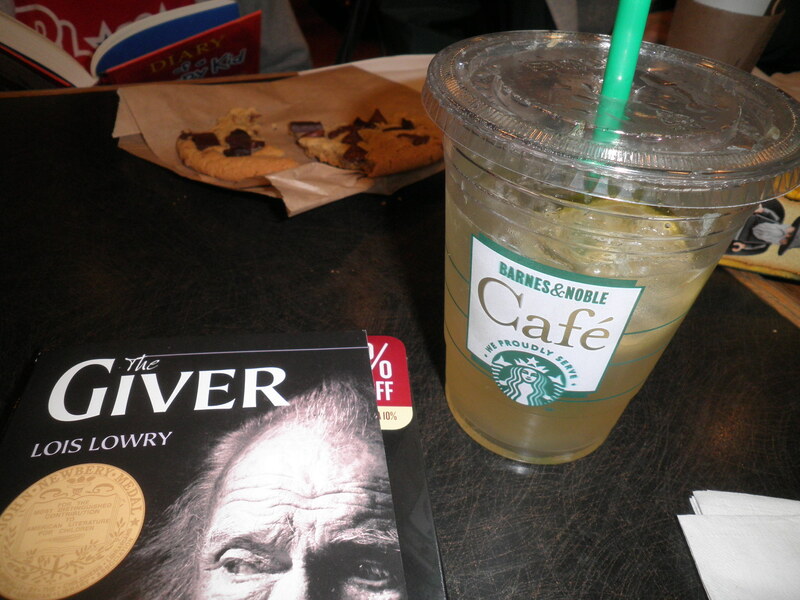 I bought The Giver by Lois Lowry. I only recently heard about this book. I actually just found the second and third books in the series at the library on their “for sale” shelf for 50 cents each! I decided I could give myself a birthday gift of the first in the series. Only $6.99, pretty good. So I had a very good Day After. We have a birthday celebration on Wednesday for Me and Ralph’s sister Maddie so I’ve got to be very mindful for the next two days so I’ll feel in control for that day. I’m feeling really good about all of this. I’m off to make good choices and celebrate my Birthday Month! This entry was posted in Uncategorized and tagged Birthday Month, books, breakfast, coffee, Weight Watchers. Bookmark the permalink. …and the fun continued!! yippee for another fun day, post-official-bday! glad you picked up the book and the planner, fran – nice treats in honour of your birthday. that is fun that you have more celebrating planned for wednesday – and yes, a birthday month IS totally necessary!! enjoy your day – we have a holiday today! Thanks, Cathy! Enjoy your holiday!! The Giver is one of my all time favorite books….hope you enjoy it! Hi Barb! I only just heard about The Giver last week when I read a review…I’m looking forward to it! I send hugs! The Giver is amazing! One of my all-time favorites. As is DD coffee. So DD coffee WITH a coupon FOLLOWED by The Giver? Pfft, who needs birthdays when you have the day after? You’re too funny, Allie! I can’t wait to read it. Yes the DD coffee is excellent…actually everytime I go I think of you! Happy Birthday!!!!!!!!!!!!!! I love Lois Lowry. I bought a few of her books full price, & you know that’s saying something for me to do that. I read ‘The Giver to’ the kids last year over the period of about 2 weeks and every time they said “One more chapter, one more please”. Right now Lila & I are reading “Number the Stars” by Lois Lowry for a book report she has to do. I am so thankful for amazing writers, they have filled my life and the life of my children with so much joy. Also enlightened us and given us knowledge and so much to think about. Marie, I’m so glad to hear that. I had never heard of this book until last week. Glad I’m hearing so many good things about it. It’s wonderful that you are instilling your love for books and reading in the children. Excellent! I don’t know how I never heard of this before. That’s why I love the internet…I read a review on someone’s book blog and that’s how I found it! Thanks, Laura! 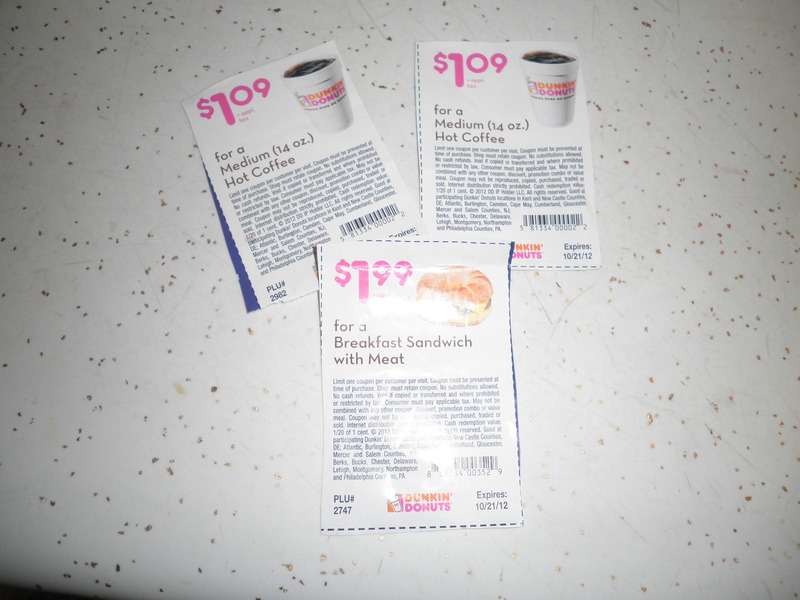 I can’t resist a coupon…especially DD! I’m having fun,Stacie! I like this planner because it has the page on the right where I can list things to do, etc. 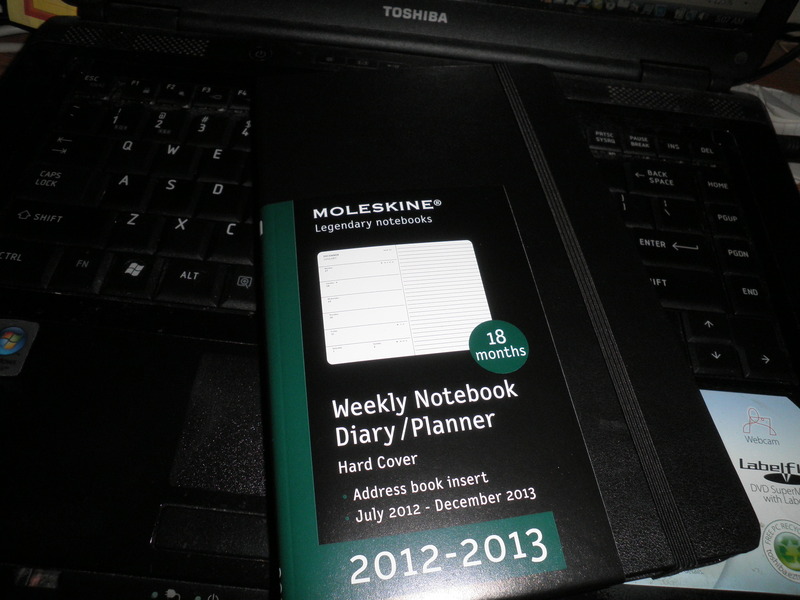 And it was 18 month so I can start now…AND it was on sale…And I had a gift card…AND moleskines are just cool! Happy (day after) birthday, Fran! 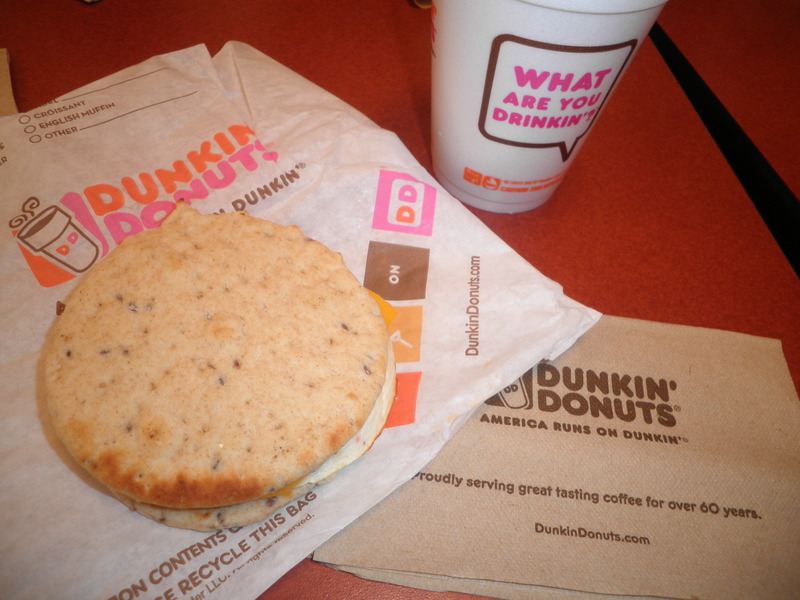 You pretty much did everything I love….dunkin, pumpkin coffee, barnes and nobles, and a planner! Yup, Zo…I thought it was a pretty terrific day!! i have them if you’d like to read them. I just read on an e-mail from Goodreads that there is a final book just coming out now called Son. Can’t wait to finish what I’m reading now so I can read it. I had never heard about it before! Birthday month rules!!!! That’s funny. I was just reading a Lois Lowry interview today — I love the Giver, but I haven’t read the otheres! Hi Corrie Anne! Yes, we love Birthday Month in our family! I just read an interview with Lois Lowry from Goodreads, is that what you wer reading. So funny, I have never heard of this, but there surely are a lot of people passionate about the book,so it seems. Can’t wait to start it!